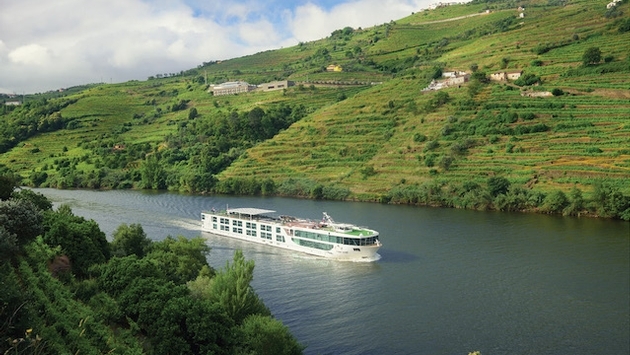 Scenic Azure was custom-built to navigate the Douro River. In October 2016, Joni Rein joined Scenic as vice president of sales and marketing USA. Most recently, Rein, a 33-year industry veteran, served as vice president of worldwide sales for Carnival Cruise Line. We caught up with Rein, who detailed the features and amenities that distinguish Scenic from its river cruise competitors, and also discussed the company’s growing commitment to travel agents, among other things. What distinguishes Scenic from the competition? Scenic’s mission is to excite and delight and over-deliver on expectations. From the guests’ point of first contact through their return home, they’ll experience a series of “wow” moments. I know the term “all-inclusive” is used pretty loosely, but Scenic is truly all-inclusive – without exception. For instance, when guests embark the ships, no one asks them for a credit card. Everything on board has an extremely luxurious feel to it. Scenic’s founder Glen Moroney and his wife Karen are very much involved, Glen with the ships themselves and Karen with the software – the interiors and everything about the guest experience on board. The appointments and amenities in the cabins are extremely luxurious – from the bed linens to the bathrooms. Balcony cabins have retractable windows – so while sailing down the river in the morning guests may be sipping coffee that their butler delivered to them as they enjoy the incredible river views. What type of traveler does Scenic attract? The Scenic demographic includes well-traveled baby boomers in the 55-to-70 age range, with an average age in the mid- 60s. The diversity of guests is terrific. We source from many different countries, including the U.S., Australia and the U.K. Scenic guests are an international, adventurous group of people who are very active. It’s not an uncommon thing to see almost the entire ship go on a three-mile bike excursion. They’re very interested in experiencing everything – from traditional shore excursions to those that may include visits to the local market with the chef, after which they return to the ship and enjoy a cooking session. What types of itineraries does Scenic offer? We have tremendous itineraries. 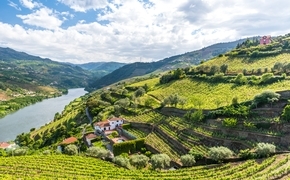 Worthy of a shout out are our Portugal Douro River itineraries. We’re the first river cruise company that not only has custom-built ships for the Douro River, but also has created a port infrastructure that it owns and operates … in order to deliver consistent, memorable luxury experiences. We’re the only river cruise company that actually has an operational office in the Douro River [region]. Are there new Scenic ships scheduled to come online? Scenic is debuting the world’s first [ocean-going] “discovery yacht” in 2018 – the Scenic Eclipse. What that means is she’ll come with her own helicopter and submarine carrying seven guests, along with zodiacs. [The entire ship itself] will carry just 228 guests. It’s an extraordinary forward-thinking ship with multi -purpose spaces whose walls [will be able to expand and contract] the size of public spaces. [Such flexibility is useful since] she will sail worldwide, and the needs and space requirements for Antarctica, for example, are going to be different than those for the Mediterranean. She’ll also be equipped with a 2,000-square-foot penthouse suite. What types of programs does Scenic offer travel agents? We have the “Scenic Specialist” program, which is an online training tool, and a number of “Lunch and Learn” sessions along with a phenomenal business development team all across the U.S. Our approach for 2017 is to become totally engaged with travel agents, and more involved in training events and partner conferences. We’re also really building a much more robust travel agent portal. I’ve been involved in the industry for quite some time and have a true appreciation for our travel agent partners. Scenic is now in its third year in the U.S. market and we are committed to growing that market in a significant way. So our travel partners will begin to see far more engagement. We are travel agent-centric as a company and we need to make that message loud and clear in the U.S. market. The path going forward is going to be phenomenal. The all-inclusive concept is intrinsic to river cruising. Nonetheless, what that concept means varies widely from line to line. Here’s a rundown of what your clients can expect to be included on Scenic river cruises.